Chuck Weyant, a veteran of four Indianapolis 500-Mile races and the man who had laid claim to being the oldest living 500 driver, as well as the one with the earliest start—1955—passed away in Springfield, Illinois on Monday, January 23. He was 93. Born in St Mary’s, Ohio, on April 3, 1923, Chuck was on hand with the hopes of qualifying a car for the “500” virtually every year between 1952 and 1962. He succeeded four times, in 1955, 1957, 1958 and 1959, with his rookie year producing the best result, twelfth, with one of the Federal Engineering Specials prepared by Russ Snowberger. He had 18 starts in National Championship competition between 1952 and 1959 with his best finishes being eighth in both the 1954 Las Vegas 100 and the 1959 Milwaukee 200. Although not assigned to a car, he was one of the drivers who went over to Monza, Italy as a potential relief driver for the 1957 invitational 500-mile race there. While he did drive a car during practice, his services were not required for the race. 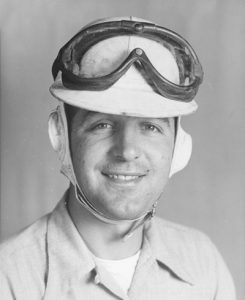 Weyant won a United States Auto Club sprint car feature at Jacksonville, Florida in 1956, and he was victorious in USAC National midget car competition 10 times. In 2003, he was inducted into the National Midget Racing Hall of Fame. For many years in the 1960s and 1970s, Chuck operated the very popular Finish Line Tavern in Springfield, an establishment which was always packed with the racing crowd when USAC would be in town for events at the Illinois State Fairgrounds each August.